From the legendary Studio Ghibli, creators of Spirited Away, and Academy Award®-winning* director Hayao Miyazaki, comes a dazzling aerial adventure set in and above the scenic port towns of the Adriatic Sea. 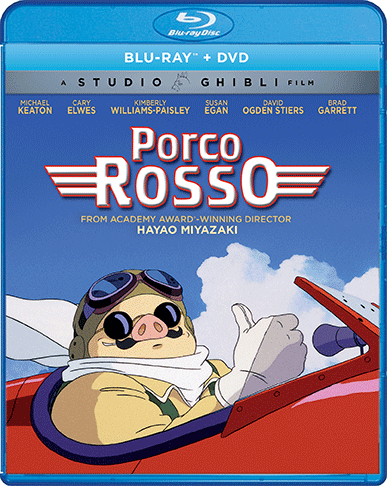 "Porco Rosso" is a world-weary flying ace-turned-bounty-hunter, whose face has been transformed into that of a pig by a mysterious spell. When he infuriates a band of sky pirates with his heroics, the pirates hire Curtis, a hotshot American rival, to get rid of him. But with the help of the teenage girl Fio, an aspiring airplane designer, and a sultry lounge singer named Gina, Porco takes to the skies for what may be his final high-flying showdown.